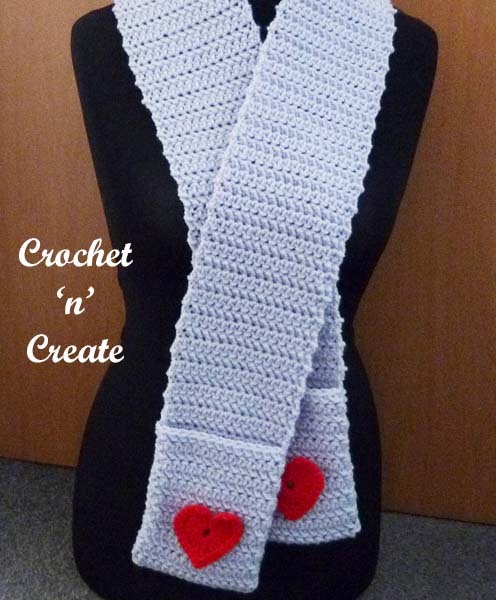 decorated this scarf with a heart applique for valentines day, but you can use flowers or animal motifs if you wish. 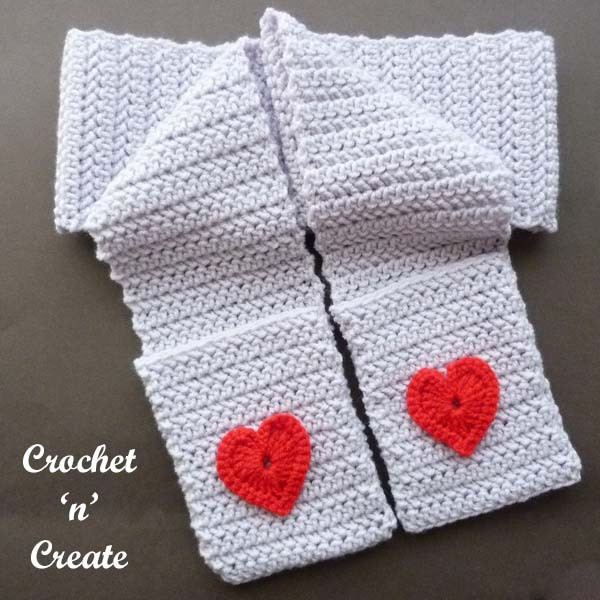 pockets are a handy place to carry your bits and pieces like phone, keys etc. 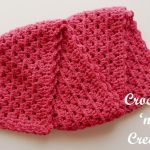 See more of my free crochet patterns for warm and cuddly scarves. yrh, pull up loop from next st (3 loops), pull 3rd loop through 2nd loop (2 loops), yrh, pull through 2 loops. 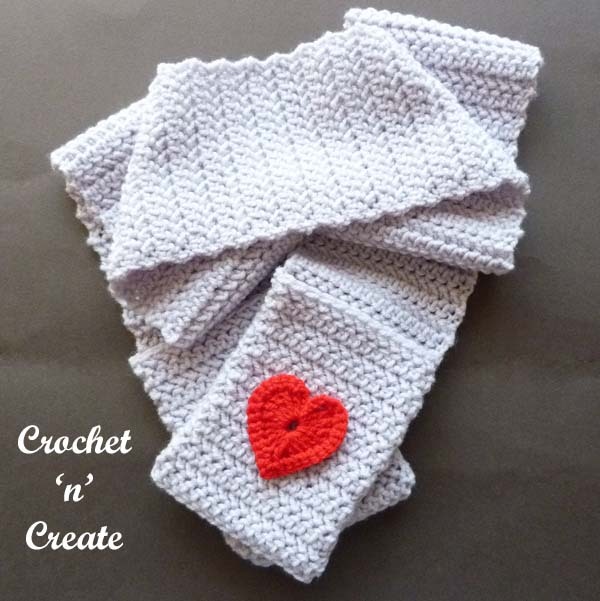 Pattern Row – 2ch, 1hbs into each hbs to end, 1hbs into top of 2ch. Turn. 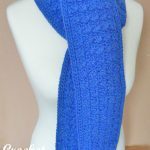 Rpt Pattern Row until 146 rows have been worked in all or your work measures approx 55 inches from beginning. Turn. 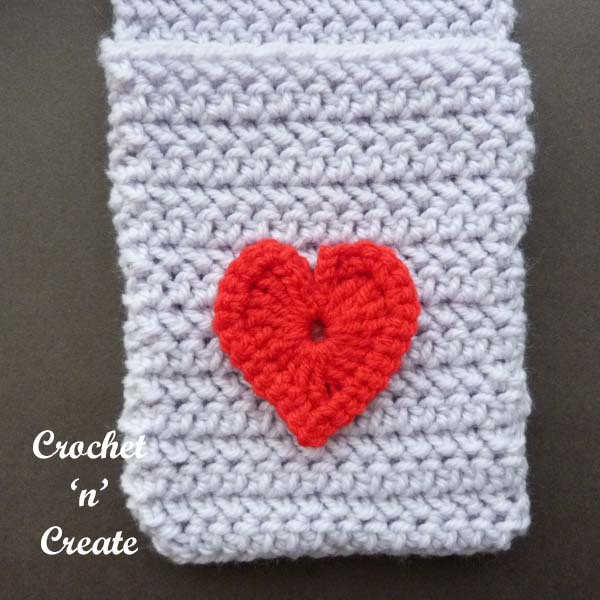 First Pocket – Working into front loop only for this row, work 2ch, 1hbs into each dc to end. Turn. 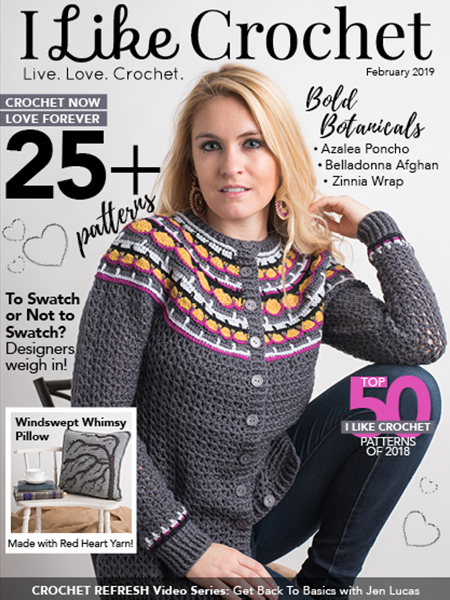 Work through both loops of stitch for remainder of pocket, rpt Pattern Row 15 more times. Fasten off. Rpt instructions as for the First Pocket. 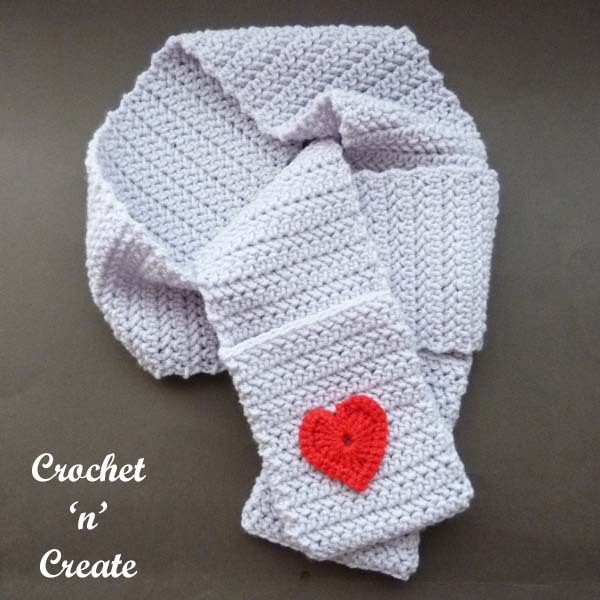 Finishing – Weave in and trim off ends of yarn, fold pockets onto WS of scarf and whip stitch sides together. 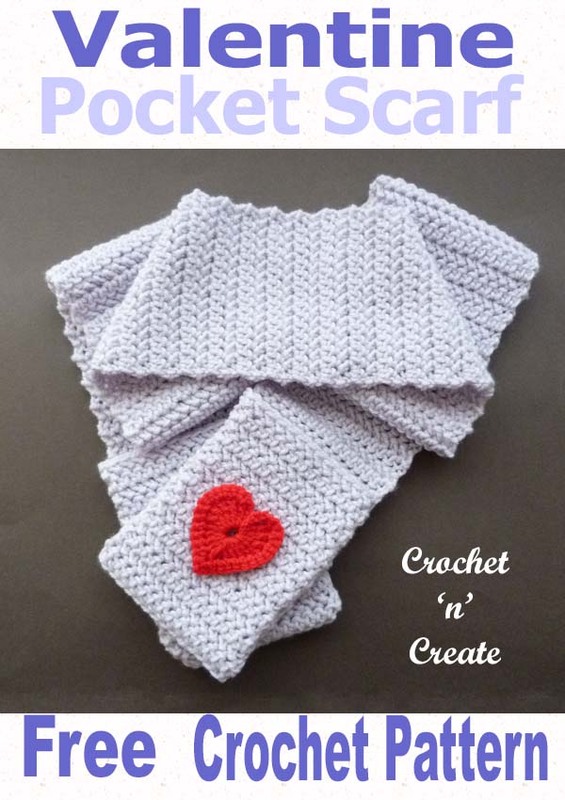 The written instructions and pictures for this valentine pocket scarf uk free crochet pattern are copyrighted to crochet ‘n’ create © 2019. 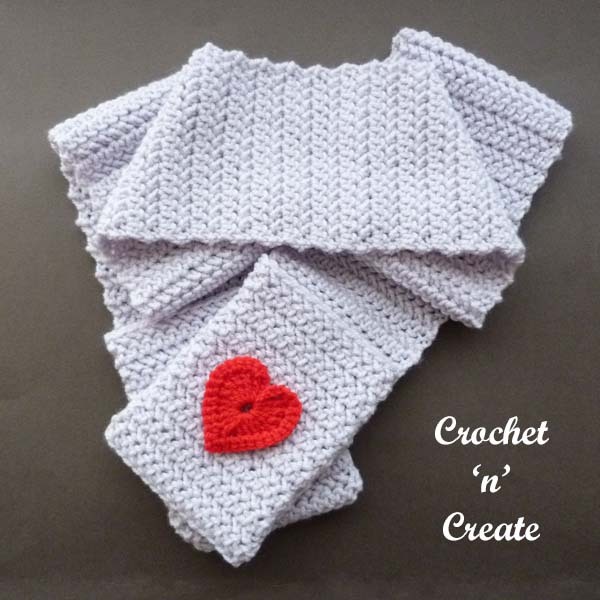 DO NOT share the written instructions for this valentine pocket scarf uk free crochet pattern. 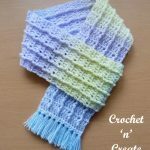 This entry was posted in crochet ladieswear, crochet scarves and tagged crochet, crochet ladieswear, crochet scarf, crochet Wearables on 19th January 2019 by crochetncreate.